Pawnee Court, Mohawk Court, Lenape Court, Genesee Court, Kensico Court, Jumano Court, Iroquois Court, Windermere Brook Lane, Ramapo Avenue, West Park Place, West Maltbie Avenue, West Maple, Oak Terrace, Jersey Avenue, First Street, Dunnery Court, Ridge Avenue, Meadow Avenue. In addition, please be aware that adjacent surrounding areas may also be impacted. Please contact the Village of Suffern Water Department at 845-357-0950 with any additional questions or concerns. Special Workshop Meeting of the Board of Trustees – Tuesday, April 23, 2019 at 7:00 p.m. 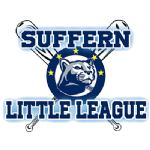 Copyright © 2018 SuffernNY.gov. All Rights Reserved. Contact: Website Manager - Click Here.